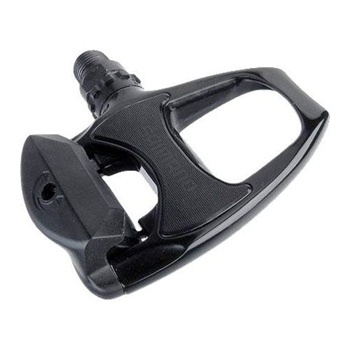 Shimano's recessed cleat and clipless pedal technology, called SPD, revolutionized the cycling shoe/pedal interface. Since then, decades of legendary "in the dirt" dependability, reliability, and sheer endurance have made SPD the world's go-to pedal technology. Shimano's PD-R540 road pedals continue the SPD tradition. The PD-R540 pedals, which feature proven designs that work in real-world conditions, offer such details as a wide pedal platform for foot-pedal stability, a low-maintenance sealed-cartridge axle unit, a large binding target for quick engagement, and adjustable cleat tension with indicators.